The dream of Walt Disney couldn't fit all in one land, so he needed a world. The magic of the park was lost as soon as you exited the gates. With all the fast food joints and hotels popping up outside its gates, Disney was not pleased. He needed more land, and with the land outside Orlando, he got his wish. Picture this! The year is 1959 and Disneyland has been open for four years, and the Disney team began scouting land for a second park. In 1963 Walt Disney flew over the Orlando area, and saw what he needed and lots of it. So, 27,443 acres were acquired using dummy corporations, so he could keep the public at bay until he was ready to unveil his world. Darkness fell on "The Florida Project" on December 15, 1965 when Walt Disney died from lung cancer before he could see his world come together. Not letting the dream crumble to the ground Roy O. Disney, Walt's brother and business partner, postponed his retirement to oversee phase one of Walt Disney World which he renamed in memory of his brother. On October 1, 1971 the Magic Kingdom opened to the public. The park opened with the same lands as Disneyland, except the addition of Liberty Square. Many of the same rides also followed to the park. The park’s first coaster opened in 1975 in Tommorrowland called Space Mountain. The ride was designed as a space age coaster adventure in complete darkness. From there the Magic Kingdom got their own version of Big Thunder Mountain Railroad in Frontierland that opened at Disneyland a year earlier. 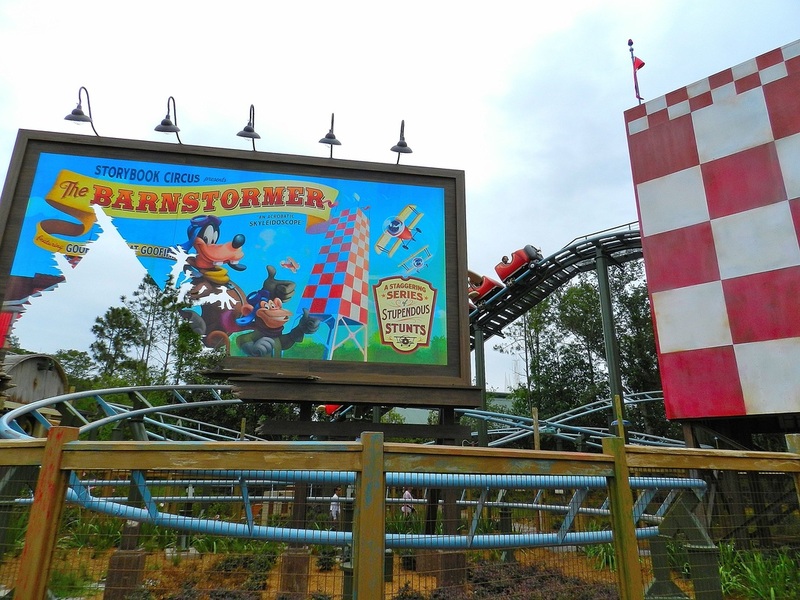 The third coaster is Barnstormer featuring the Great Goofini which opened in 1996 as a typical Vekoma Junior Coaster. As the years went by, Mr.Toad gave the deed to Winnie the Pooh, and the rest of the Hundred Acre Wood. Also 20,000 leagues under the sea got drained and made into a playful spot again with Pooh and friends, but that was eventually closed too closed to make way for the new Fantasyland. The Magic Kingdom was the first park, but not the last for this world. There are three other parks, two water parks, and countless hotels. With Disney having parks in four other countries, all with the Disneyland name, there's only one Magic Kingdom. It truly is the most magical place on Earth.